Father’s Day is coming up in the UK on Sunday June 17th and I’ve been looking around for ideas for things to make for dads. I always think something handmade is lovely to give because you’ve taken the time and effort to do it and that makes it special. 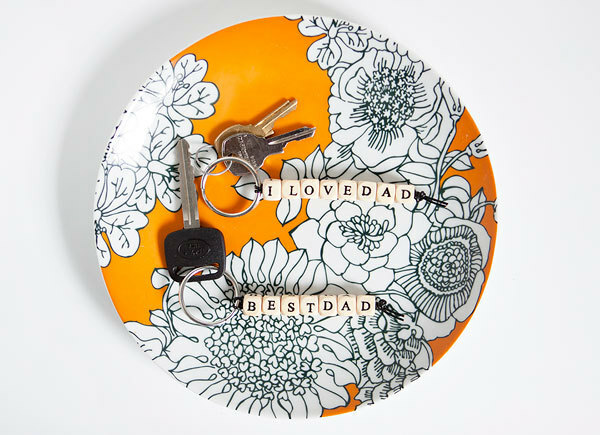 I thought I would share some of the lovely make at home gifts I’ve found that would put a smile on any dad’s face. First up is this fabulous Grill Set Holder form Lil Luna. 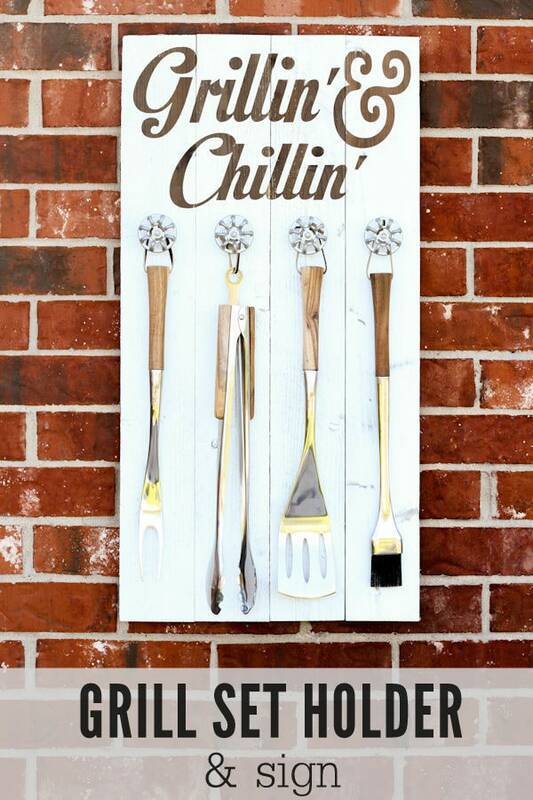 Since we are having fabulous BBQ waether in the UK at the minute this would make a fab gift for a dad or grandad and there is a very detailed tutorial for making it on the Lil Luna blog. 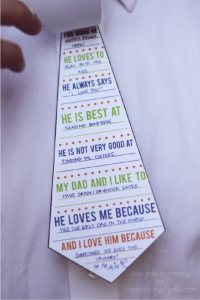 Next up is a super cute tie card from Kiki & Company that would be so easy for a child of any age to make and would really make dad feel special. I really love this one and it comes in four different colourways so you should find one to suit dad. My third pick is this cute keychain from Hellobee. My kids made their dad a keychain like this when they were small and he still has it on his keys ten years later. You could put any message yo like on this so could adapt it for other family members and other occasions too. 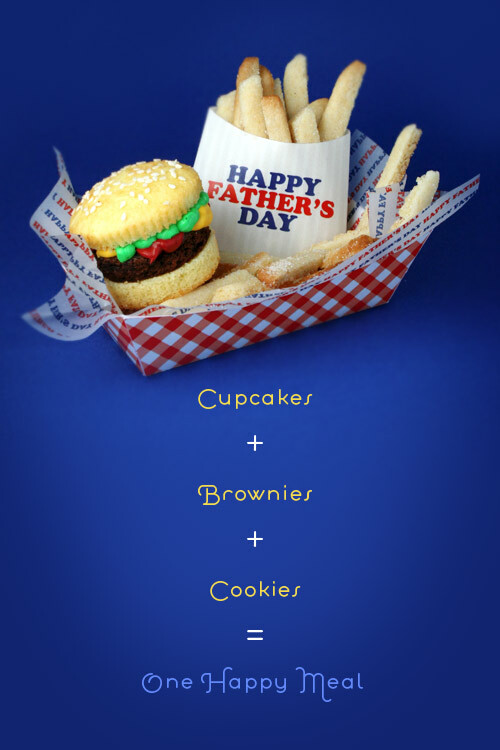 Fourth up are these amazing cookie/brownie/cupcake creations from Bakerella. If you haven’t discovered Bakerella yet go visit her site but I do warn you that you will be there for hours because there is just so much to drool over. 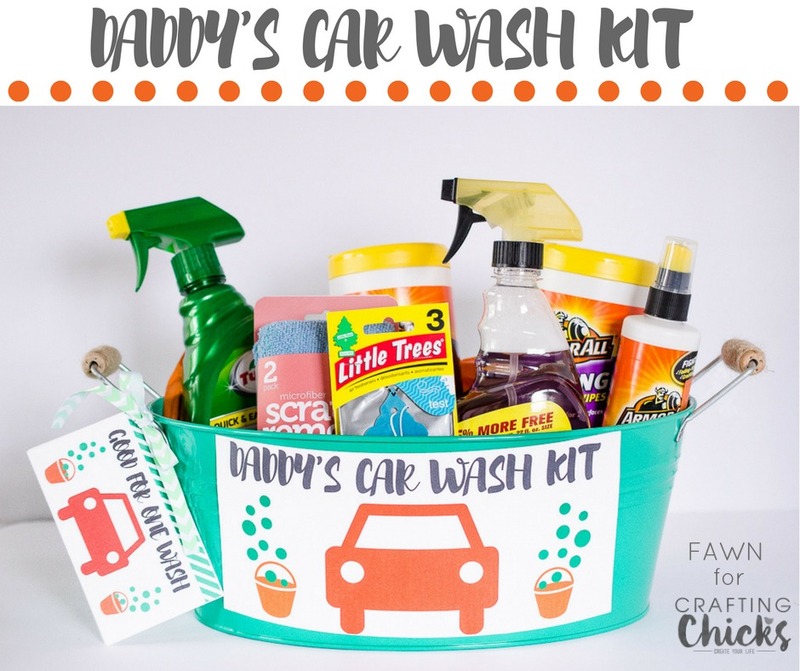 And last but not least is this Car Wash Kit from The Crafting Chicks. You could also do this as a movie bucket with DVD, some popcorn, coke and dad’s favourite snacks in it. 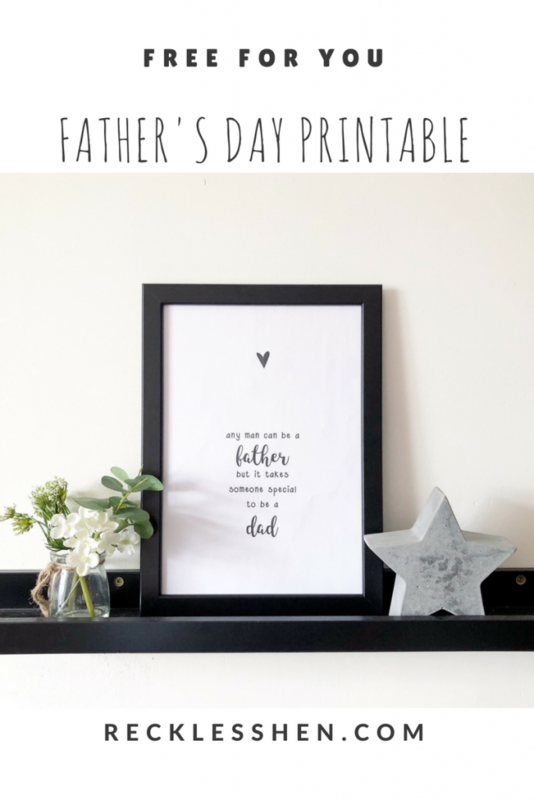 Well I hope that has given you a few ideas of things to make for Father’s Day and there are loads more to be found on Pinterest. I also made this sweet printable for you to download, pop in a frame and make dad’s day. You can download my free printable here. 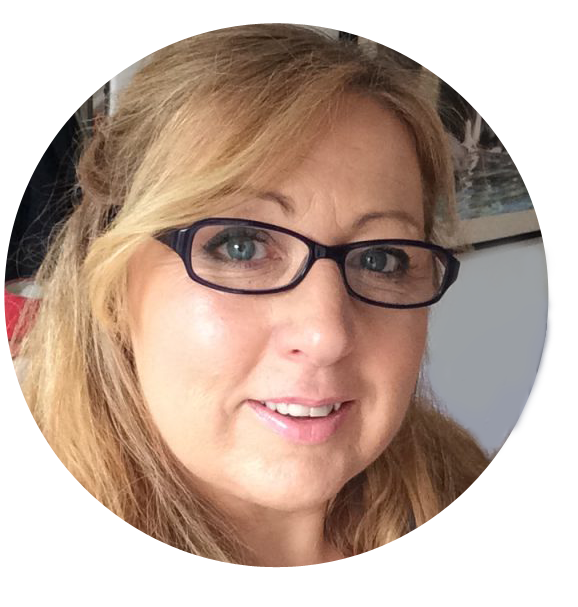 You can follow me on Instagram, Facebook and Pinterest.